KENSELL, Raymond F., age 89 of Brooksville, died Wednesday, December 14, 2016 at Bayfront Health Brooksville. Born in Evansville, Indiana, he moved to Brooksville 14 years ago from Largo, Florida. He was a retired Wesleyan minister, beginning his career in 1954 and pastoring at numerous Wesleyan churches throughout the southern United States until becoming the Florida District Superintendent in 1983, a position he held for 9 years. In 1992 Rev. Kensell then went to Knoxville First Wesleyan Church where he was pastor for three years. 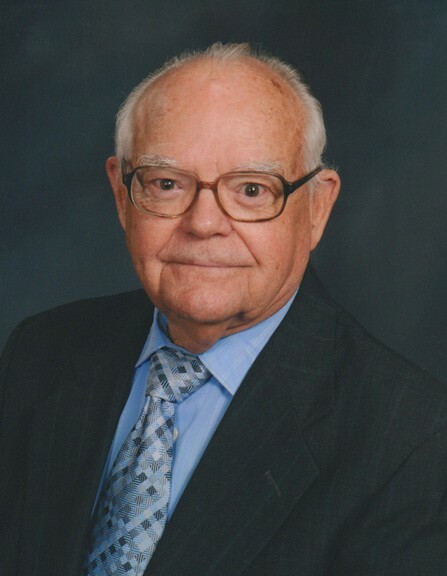 He also served as trustee for the Central Wesleyan College, now known as Southern Wesleyan University, and served on the Denominational Committee for Ethnic Works. He was a WWII U.S. Army veteran and currently a member of the Brooksville Wesleyan Church. He was preceded in death by his wife, Marcella; his identical twin brother, William Kensell and a sister, Pearl Smith. Survivors include his wife: Faith E. Kensell; sons & daughters-in-law: Ralph F. & Mary Kensell of The Villages, Florida and Randall M. & Betty Jo Kensell of Fort Myers, Florida; grandchildren: Kelly Kensell, David Kensell, Julie Kensell Turner, Scott Kensell, Matthew Kensell, Wesley Kensell and Jesse Kensell and 6 great grandchildren. Visitation for friends will be 1 - 2pm, Saturday, December 17, 2016 in the Chapel at Brooksville Wesleyan Church where funeral services will begin at 2:00pm, with Dr. Marlin Mull officiating and Dr. Jerry Pence and Florida Wesleyan District Superintendent Patrick Styers as speakers. Burial will be private at the Florida National Cemetery, Bushnell, Florida. In lieu of flowers, donations may be made to the Brooksville Wesleyan Building Fund or to The Gideons International, P.O. Box 140800, Nashville, TN 37214-0800.